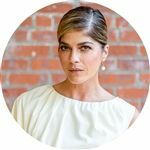 One of our most exciting and versatile actresses, Selma Blair first gained attention for her performance in Cruel Intentions (1999), a youthful retelling of the classic novel "Les Liaisons Dangereuses." Selma was born in Southfield, Michigan, to Molly Ann (Cooke), a judge, and Elliot I. Beitner, a lawyer. She had a Jewish upbringing. After graduating from Cranbrook Schools, Selma moved to New York City to pursue her goal of being a photographer but found her way to acting classes. Selma starred for two seasons as the title character in the WB's Zoe, Duncan, Jack & Jane (1999) and then appeared in the hit comedy, Legally Blonde (2001) opposite Reese Witherspoon. She then starred opposite Cameron Diaz and Christina Applegate in The Sweetest Thing (2002) and in two independent films that garnered her much critical acclaim: Dana Lustig's Kill Me Later (2001) and Todd Solondz's controversial Storytelling (2001). In 2004, Selma starred in Guillermo del Toro's Hellboy (2004) and appeared in John Waters's A Dirty Shame (2004). Her other film credits include Paul Weitz's In Good Company (2004), opposite Topher Grace in Pretty Persuasion (2005), opposite Stellan Skarsgård in The Killing Gene (2007), in Ed Burns's Purple Violets (2007), in Robert Benton's Feast of Love (2007) starring opposite Morgan Freeman and Greg Kinnear.and Newton Thomas Sigel's award-winning short film, The Big Empty (2005) opposite Elias Koteas. 2008 was a busy year for Selma Blair. After My Mom's New Boyfriend (2008) (aka "Homeland Security"), Selma returned to the big screen as "Liz Sherman" in Guillermo del Toro's blockbuster sequel, Hellboy II: The Golden Army (2008). She also starred in an independent film by writer and director Lori Petty, titled The Poker House (2008), starring opposite Oscar and Golden Globe nominee, Jennifer Lawrence. In the fall of 2008, Selma went to television and shot one season with NBC's Kath & Kim (2008), starring opposite Molly Shannon. In the fall of 2009, Selma took to the stage and played "Kathleen" in award-winning playwright Rajiv Joseph's "Gruesome Playground Injuries". In 2010, Selma starred in the suspense thriller, Columbus Circle (2012), starring opposite Jason Lee, Amy Smart, Giovanni Ribisi and Kevin Pollak. Selma did some shorts during 2010, including 3 episodes of Lisa Kudrow's Web Therapy (2008), a Danko Jones music video starring opposite Elijah Wood, a guest episode of Fred Armisen's web TV show Portlandia (2011) and a Mollie Jones short titled Animal Love (2011). Selma completed two films in 2011. In Their Skin (2012), a home invasion thriller, starring opposite James D'Arcy, and Dark Horse (2011) - Todd Solondz's latest film starring opposite Jordan Gelber, Christopher Walken and Mia Farrow. Dark Horse (2011) was selected for competition and is set to have its world premiere at the 68th annual Venice Film Festival followed by the Toronto Film Festival in September of 2011. 2011 also brings Selma Blair's latest project, motherhood. Selma and her "Ever Clothing" fashion designer boyfriend, Jason Bleick, welcomed their son, Arthur Saint Bleick, on July 25th 2011. Selma was born in Southfield, Michigan, to Molly Ann (Cooke), a judge, and Elliot I. Beitner, a lawyer. She had a Jewish upbringing. After graduating from high school in Michigan, Selma moved to New York City to pursue her goal of being a photographer but found her way to acting classes at The Stella Adler Conservatory and Stonestreet Studios. Selma starred for two seasons as the title character in the WB's Zoe, Duncan, Jack & Jane(1999) and then appeared in the hit comedy, Legally Blonde (2001) opposite Reese Witherspoon. She then starred opposite Cameron Diaz and Christina Applegate in The Sweetest Thing (2002) and in two independent films that garnered her much critical acclaim: Dana Lustig's Kill Me Later (2001) and Todd Solondz's controversial Storytelling(2001).